Did you know that patterning is an important pre-reading skill? Your preschooler will enjoy playing with her four color Three Bear Family® counters as she matches and completes patterns. 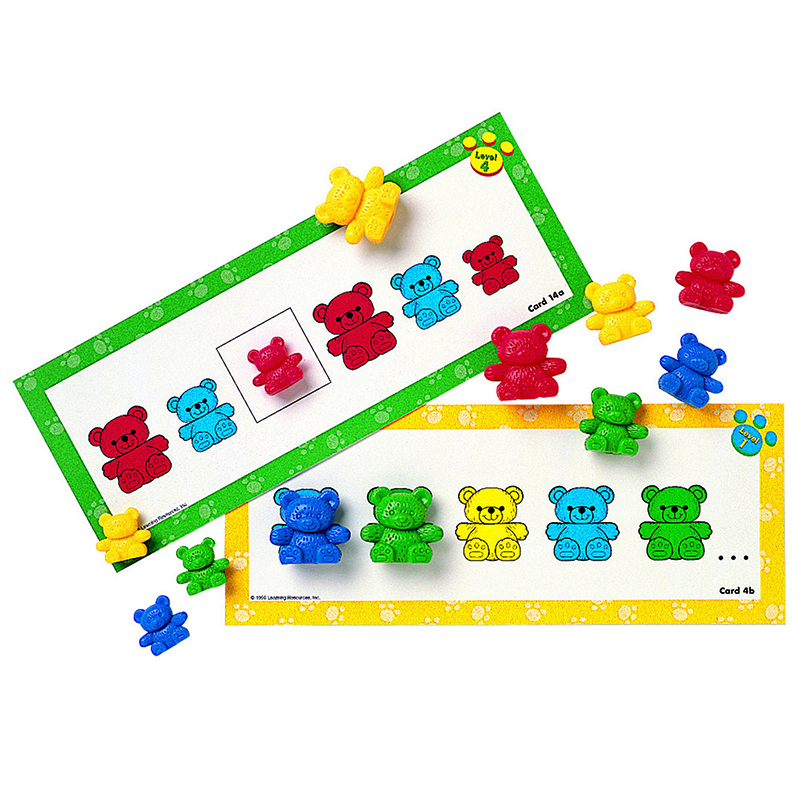 This set of 16 double-sided, full-color activity cards match actual size of bear counters. For use with Three Bear Family® Counters in four colors. Packaged in reusable plastic envelope with snap closure. These pattern cards provide practive with fine motor skills, color recognition andpattern sequencing. The activities arepresented in four levels of difficulty,indicated by a paw print in the upper rightcorner of each card.